I am currently seeking an agent or publisher who sees the enormous potential in the Secret Keeper books. 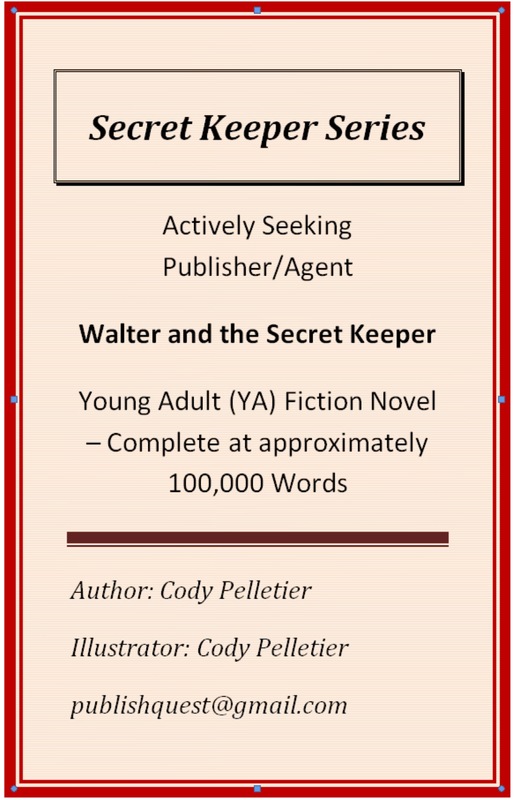 Walter and the Secret Keeper is complete at approximately 100,000 words. I am looking for an individual I can partner with long-term. I welcome comments, suggestions and editorial advice. I believe that any writing project, whether it’s a three hundred page novel or a one page business letter, improves through collaboration with others. If you would like more information on the Secret Keeper, or to request a complete overview or the manuscript in its entirety please contact me at publishquest@gmail.com. Reblogged this on The Secret Keeper Series.